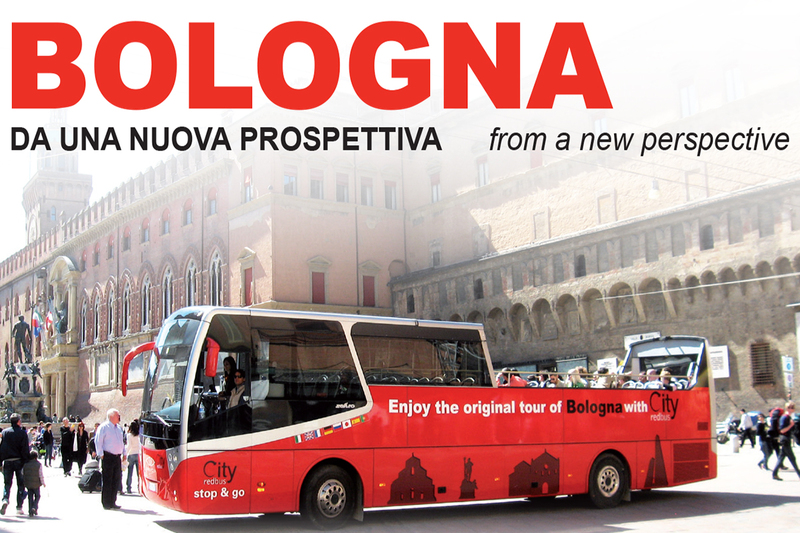 …do You want to organize an unforgettable tour of Bologna for Your Clients? 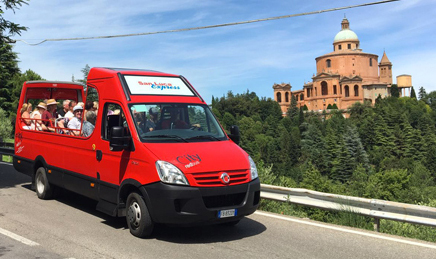 City Red Bus is what you need. 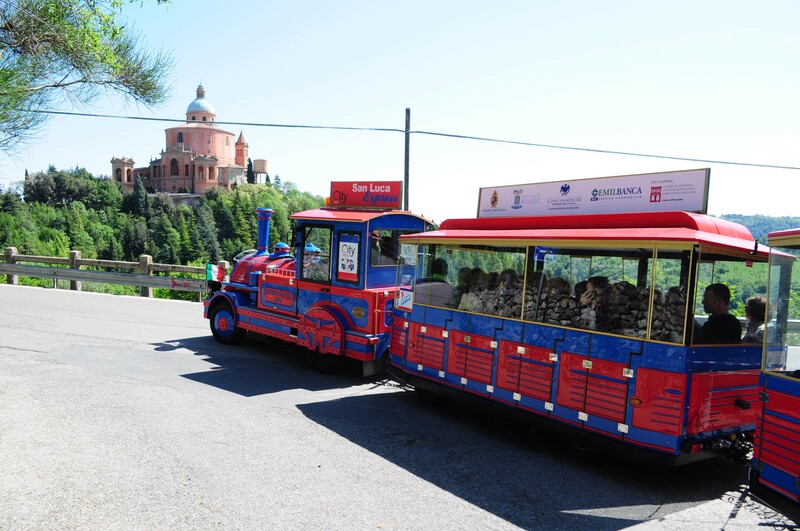 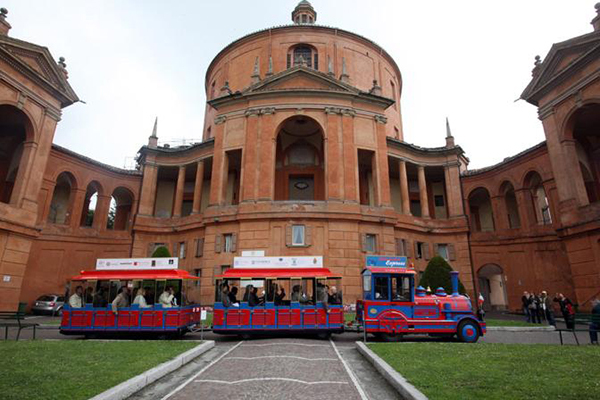 Our open buses, operating all the year round, and our special red-blue road train (San Luca Express),will be ready to welcome all the people who desire to admire the wonderful Emilia-Romagna County Seat from a privileged point of view, comfortably seated and accompanied by the on board multilingual audioguide, throughout routes leading you from the ancient city center to the astonishing views of the nearest hills surrounding the city, or along the fascinating rise beside the famous San Luca portico to our beloved Basilica of Madonna di San Luca. 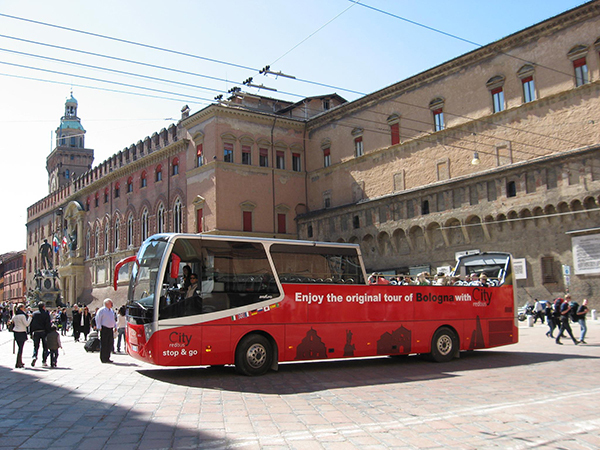 Our vehicles, suitable for all-aged people and equipped with a wheelchair placement and a specific automatic platform, represent an ideal way to approach Bologna and its countless atmospheres that infatuate everybody, especially those who decide to stay for a while, discovering the city step by step. 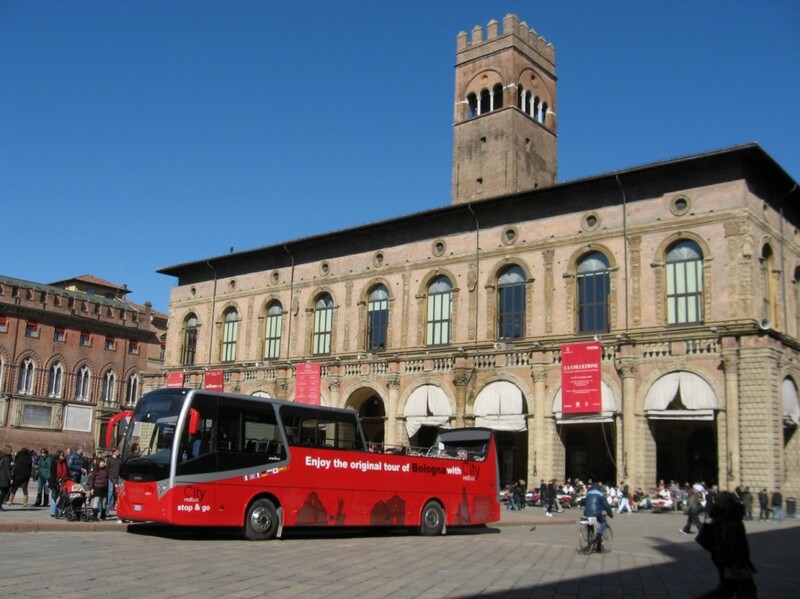 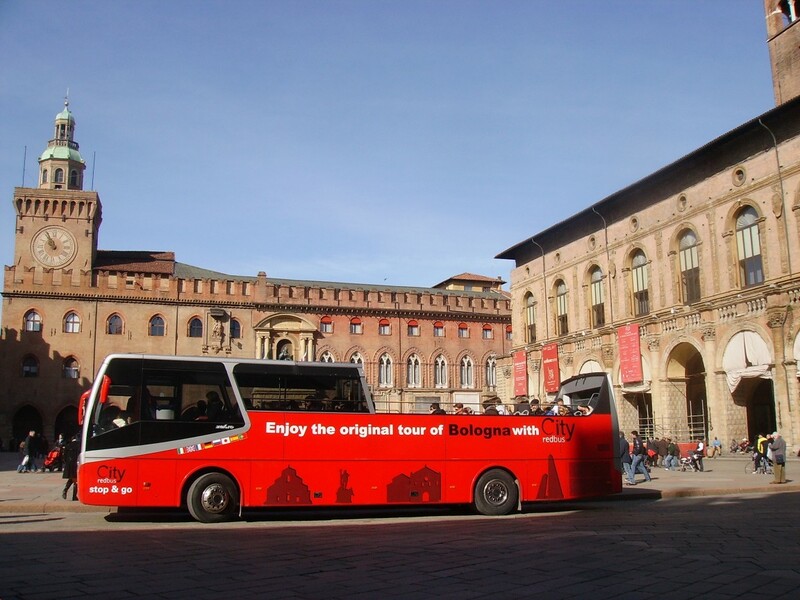 Our staff will be at Your disposal for giving You all the necessary clarifications, in order to make Your Clients’ stay in Bologna an unforgettable experience, with City Red Bus.